Tutorial Details: Create Perfect Coloring Book Art Vectors! You want to make sure your coloring book art vector is clean. Vector is perfect for this. Fill colors should be white, strokes and outlines should be black. Make sure all objects are complete and paths are closed! Consider setting the caps and corners of your strokes to rounded so you don’t have strange corners or edges popping out of your shapes. To complete objects and really get them to POP off the page, make sure they have thick, dark outlines. 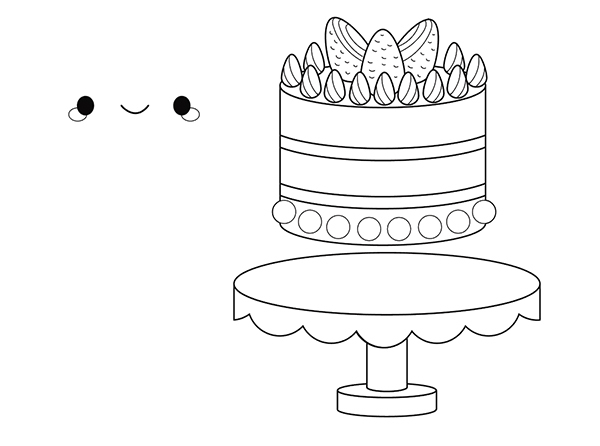 This way the object’s details don’t get lost amongst the rest of your coloring page. Thin lines on the inside and thick lines on the outside! 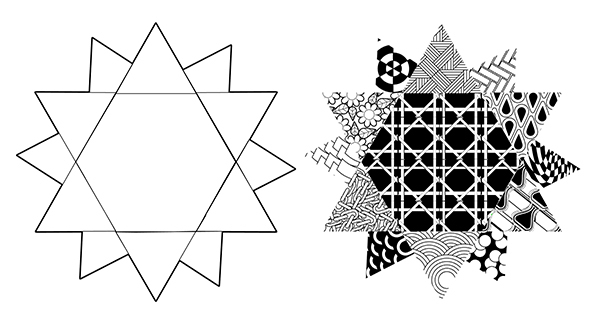 A common design style for coloring books are patterns! 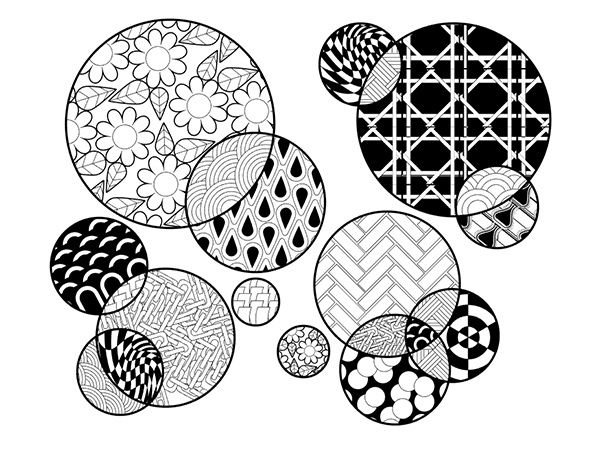 One of the ways in which to create a simple and quick coloring book art vector pattern is to take a couple simple shapes, like rounded rectangles, and collage them together. 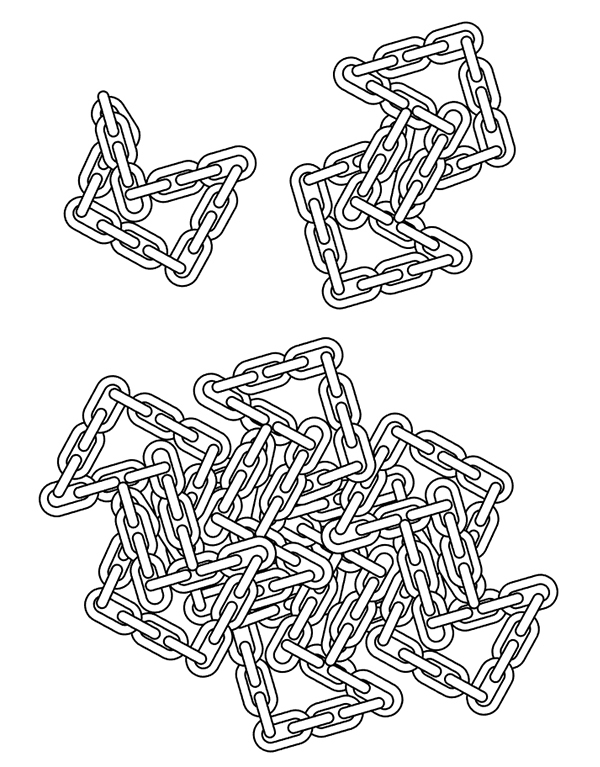 Note how the simple chain design is copied, pasted, and rotated repeatedly to create a more complex design. This gives consumers of your color book a lot of elements to color without meaning you have to illustrate individual objects forever. 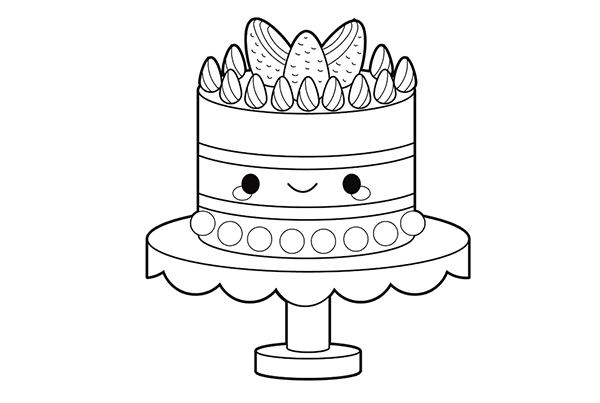 When you’ve arranged your pattern-style elements together in a way you want, you can use a simple clipping mask in order to apply your design to a small area of your coloring page. This cleans up your image quickly and easily and gives it an all-over style pattern look without having to dive into the Pattern Options panel. 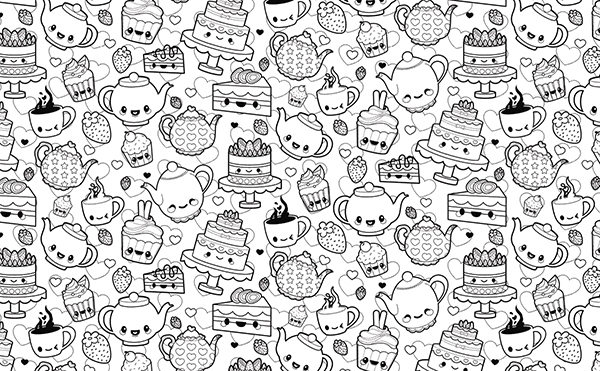 Note the two small coloring book art vector patterns below: one is filled with tea cups and sweets while the other is simple repeated hearts. The pattern on the left would work well on its own, but paired with the pattern on the right there’s more depth in the final design and more space for consumers to color than ever! Also note how thick the lines of each object in the foreground are compared to the lines of the hearts in the background. Line weight goes a long way in toning down patterns that would be too busy otherwise and to create a sense of depth. Create dynamic designs with multiple patterns and clipping masks placed within simple objects and shapes. 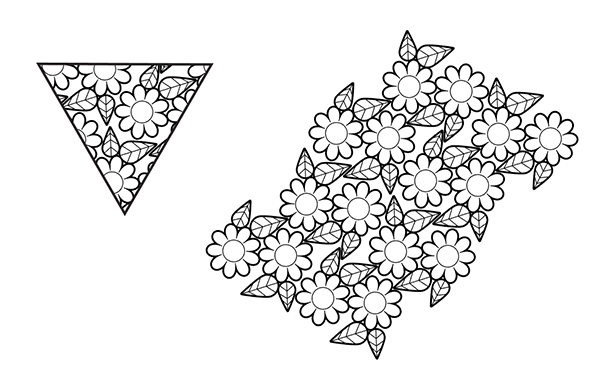 This is an easy way in which to reuse patterns throughout multiple coloring pages as well as a way to quickly run through simple, classic pattern styles and fill up space in a larger composition. Also note that the boundaries between each section are thinner than the thick outline around the entire design. This allows each section to stand on its own as well as for any background used to remain separate from the main design. 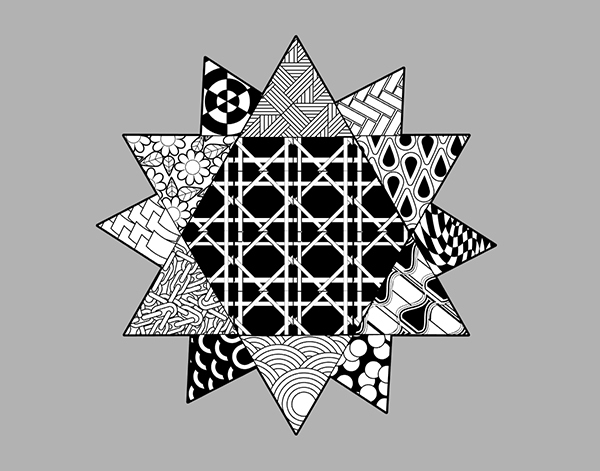 While you have options when filling in the background of a coloring book art vector design like this, a great way to do so is to fill it with a simple solid (and gray scale) color. Black, gray, or simple white are all options when you’re preparing your coloring page files for print. And, depending on the book being produced, you may even be able to print pages in partial color or with colorful ink and simple elements.